Chinese Movie Review Christmas Special: It's A Drink! It's A Bomb! There are not a whole lot of Chinese Christmas movies. That's actually a good thing, because it means that when Hong Kong does make a Christmas movie, it's likely to be the weirdest, most WTF Christmas movie you've ever seen. The Gweilo's Movie Ratings for It's A Drink! It's A Bomb! The Chinese movie review continues below this info box! Chinese Movie It's A Drink! It's A Bomb! Also please note: The title of this Hong Kong film is It's A Drink! It's A Bomb! 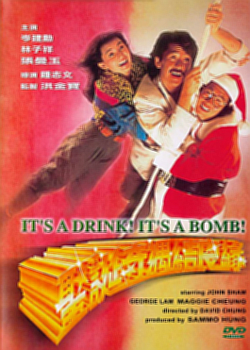 From the Gweilo's perspective, nothing says "Merry Christmas" quite like a movie named "It's A Drink! It's A Bomb!" 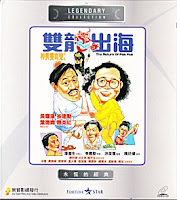 Format Viewed VCD Fortune Star JS/VCD/3338/HK What is a VCD? Just how far into the closet is it possible for a movie to be? This seems to be the question that director Philip Chan set out to discover with his 1984 classic Chinese movie, The Return of Pom Pom. I love how straightforward the titles of Chinese movies can be. Oily Maniac? Well I guess we all know what we're in for with this fine offering! Format Viewed VCD Shaw Brothers 100185 What is a VCD? 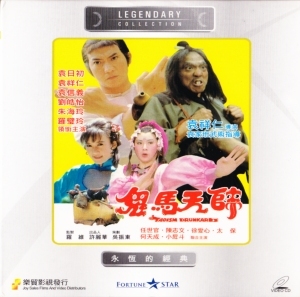 This Chinese movie from the Shaw Brothers Studios is very much in the tradition of the goofy, random monster movies that proliferated in the second half of the twentieth century. This movie making strategy takes anything, anything at all, and makes it into a monster. The monsterfication of ordinary things was often done by making them extra big, or extra strong, or maybe “radioactive.” A reliable hallmark of this technique was ominous, dramatically building music, the slowly rising “dun, dun, dun, dun, DUN!” that we hear whenever the monstrous ant or lizard or shark or doll or janitor or dog or toddler was approaching its next victim. Format Viewed VCD Kam & Ronson KAM2927 What is a VCD? This Chinese movie had a huge budget for a Hong Kong film. Tsui Sui-Ming had enough money for full-on war scenes, involving hundreds of soldiers, a dozen or so tanks, helicopters, entire south east Asian villages, and more explosions per minute than a Michael Bay feature. 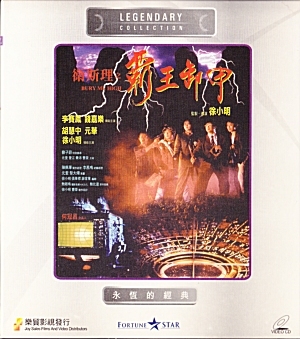 Format Viewed VCD Fortune Star JS/VCD/3035/HK What is a VCD? 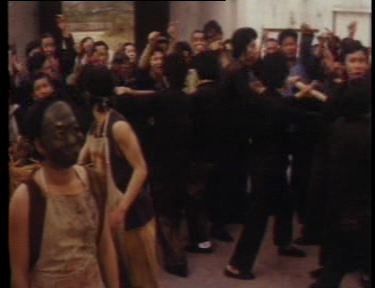 Tsui Sui-Ming also traveled internationally with his cast and crew, filming some of this on location in Los Angeles, some in Hong Kong, some in what looks like a Hollywood Western, and a lot in what looks like a Vietnam War movie's back lot. It's a movie staring kids. I think I'll pass. Format Viewed VCD Mei Ah VCD137 What is a VCD? But it's a Chinese movie where the kids do all their own stunts, and the filmmaker has no qualms about dangling them from bridges, dropping them off tall ladders, throwing them against walls... Oh really? And the kids have to get really drunk to fight. Color me intrigued! 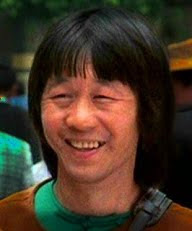 As I was preparing to post my review of Chinese movie Ghost for Sales today, I learned that the star of this movie, Ricky Hui, died this morning. This is sad, of course. 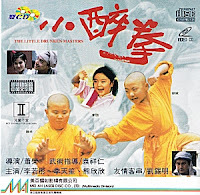 Ricky Hui starred in dozens of golden era Hong Kong movies, and his distinctive looks, his understated comedic acting style, and his deft martial artistry were a reliable staple of so many weird and goofy movies. That he died on the day I posted my first review of him seems like the kind of coincidence that would only happen in the world of a Hong Kong movie. RIP, Ricky Hui. Such as it is, this movie review is for you. Format Viewed VCD Wide Sight WCVCD1160 What is a VCD? You might think that a movie titled Ghost for Sales would have a ghost that was for sale. Or perhaps a salesman of ghosts, trying to ply his trade. Or perhaps a ghostly sales clerk, or a ghostly job seeker, looking for some employment in sales. 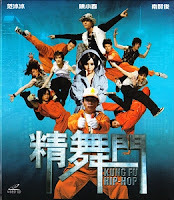 But this is a Hong Kong produced Chinese movie, not a Hollywood film. So of course this movie is none of those things. 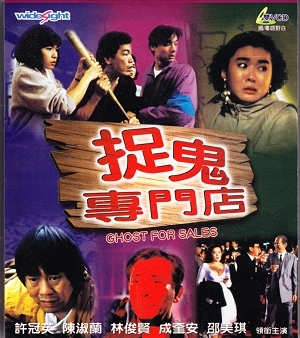 Instead, Ghost for Sales is a delightfully mixed up, Three-Stooges-style knock off of Ghost Busters. The best thing about watching (and reviewing!) obscure Chinese movies from the Gweilo's perspective is that you are carried into a cinematic world that is entirely different from anything you've ever seen before. 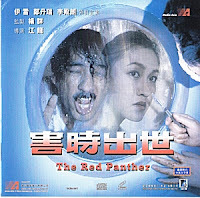 The Red Panther, an obscure 1983 Hong Kong film from director Kong Lung, definitely fits this bill. Format Viewed Megastar VCD MS/VCD/234/HK What is a VCD? 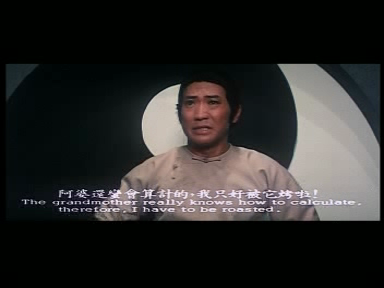 "The grandmother really knows how to calculate. Therefore, I have to be roasted." I think it's safe to say: This is not a dilemma anybody has ever faced at any time. Wow! Just wow! I don't even know how to start this Chinese movie review, except to say this is quite possibly the weirdest, strangest, most utterly bizarre film I have ever seen. Format Viewed VCD (Fortune Star JS/VCD/3104/HK) What is a VCD? It would be easy to jest (hur, hur, hur!) 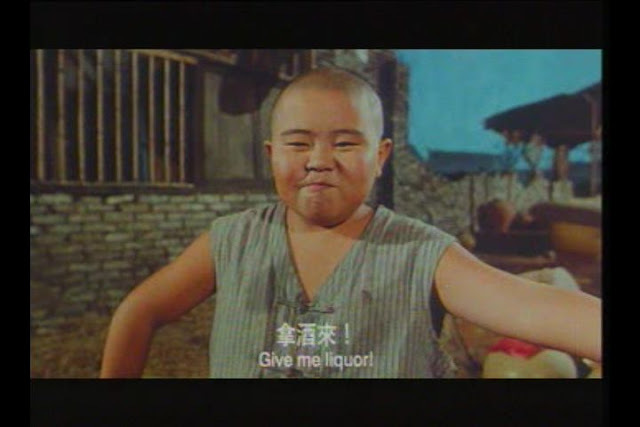 that director Yuen Chung Yan, and everyone else in the cast and crew, must have been as drunk as the film's hero when Taoism Drunkard was created. But I don't believe they were.